Thomas Dunne Books, 9780312538088, 288pp. An electrifying and timely book, by leading Russian expert Richard Lourie, that explores Putin's failures and whether Trump's election gives Putin extraordinarily dangerous opportunities in our mad new world. …and many more crucial topics. 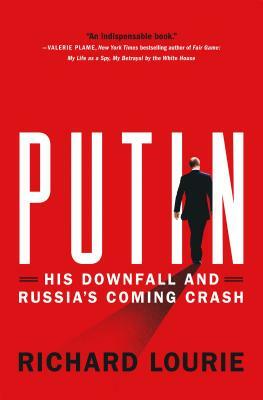 Putin: His Downfall and Russia's Coming Crash is an essential read for everybody bewildered and dismayed by the new world order. "Richard Lourie knows Russia — and better yet, he knows Russians, at street level up through his friend Sakharov's stratosphere of science and art. On the rough, tough enigma of Vladimir Putin, Lourie’s is a most satisfying voice: tough in its own way but digressive, historically and personally informed, acutely sensitive to vibrations of religion, culture, the missing iconography of the Putin era and the eternal iconoclasm in the Russian soul. "—Chris Lydon, host, Radio Open Source.